MISSION VALLEY — The Mission Valley Mariners 12U All Star baseball team won the Western Montana State Championship baseball title in Florence with their strong hitting and defense against Bitterroot South (15-4). Upon returning to the Mission Valley, the team was given a victory ride by the Polson Fire Department through town. 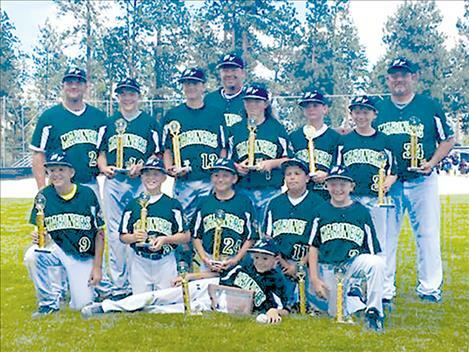 After winning the State title, the 12U All Stars headed to the Regional Tournament in West Linn, Oregon. The Mission Valley Mariners 12U team wants to thank their coaches and families for their dedication and tireless support, the support of the community who turned out for the games, and especially the team sponsors for their support that made the season possible.